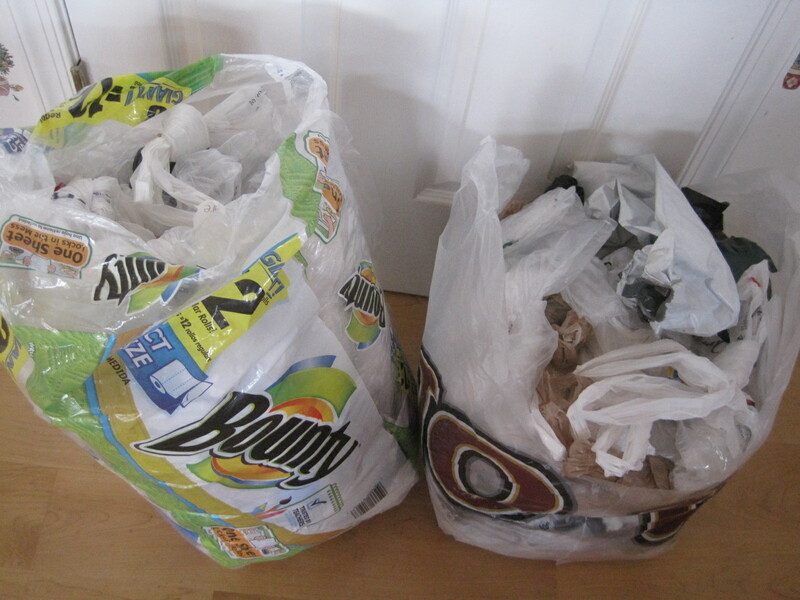 Clump #25: Recycle plastic bags. I’ve got to use our reusable bags more often. I do need plastic ones for garbage and kitty litter-box cleaning, but this is ridiculous. 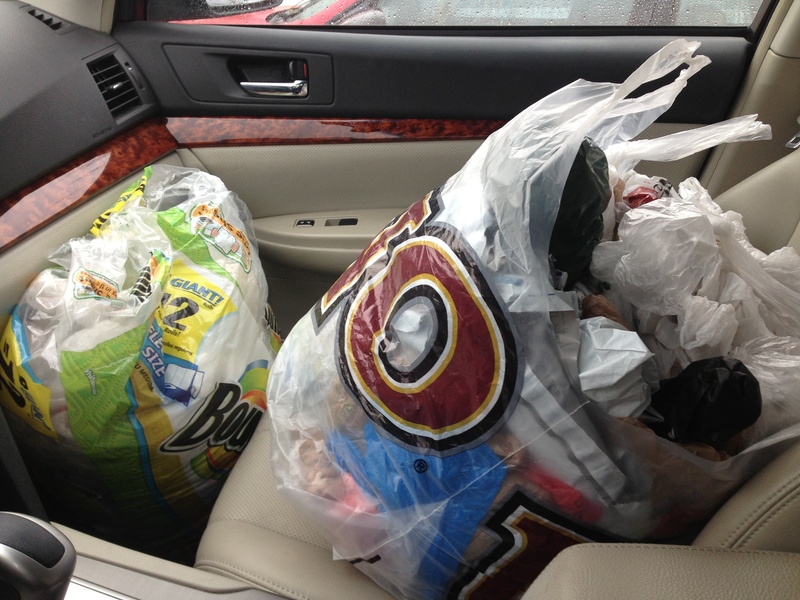 I recently read that people are getting food-borne illnesses from unwashed reusable shopping bags. So, O.K., use them more often and wash them more often. The subject of old bags makes me think of the time my husband and I were in Disney World for our younger daughter’s high school choir trip. It was our last chaperoning job for our kids (empty-nest pang). One morning we were entering the park, and, as usual, I was the one with the tote bag requiring a security search; my husband was free to go straight through the turnstile, unencumbered. The words “Old Bag” were never actually uttered, but something about the smile and gleam in his eye when he pointed to where the “bags” had to go made the point clearly. At that moment, a Disney employee said to me, “You can come over here, Princess.” (No wonder they’re called Cast Members. They’re fluent in fiction.) I said, “Ha! 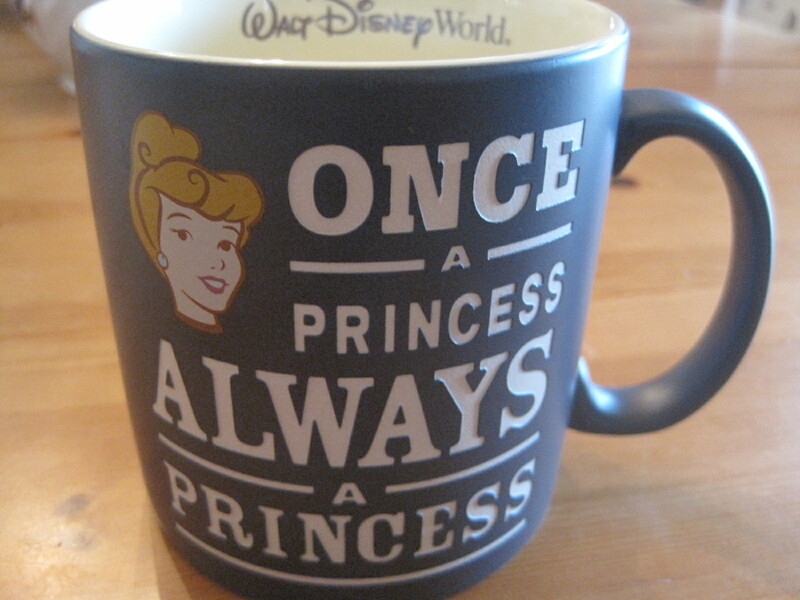 This man called me Princess, while you were thinking Old Bag!” I saw this mug in a gift shop, and enjoy the memory each time I use it. I’m reminded that both age and Princess-hood are states of mind. To my fellow Princess (okay and fellow “old bag” too…) thank you as always for the smile, and thoughtful reminder to use those ‘old bags’ and help with the tending of our sweet Mother Earth. I miss you dear friend. I miss you, too! We still have the magic.